Its May already. The older you get, the faster it all seems to go. The April 2013 sales are out for Nissan, and there were 103 Nissan GT-R's sold with a total year to date of 371 cars. Year to date that is up 7.8 percent. 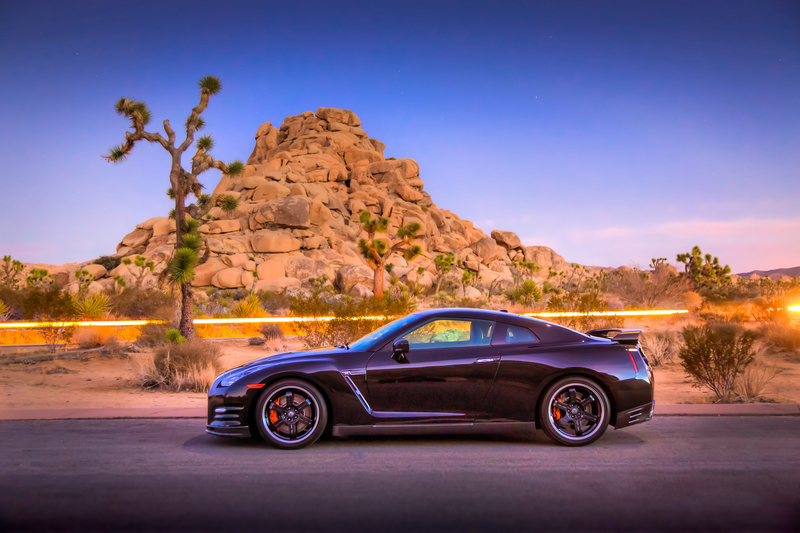 Total sales for the Nissan GT-R, since 2008 in the US is 6994. Not a huge number, but the US market may over take Japanese domestic market sales by the end of this year. May sales will probably be up slightly for the Track Edition that is coming up very soon. Check out the sales chart and press release after the break. NASHVILLE, Tenn. – Nissan North America, Inc. today reported April U.S. sales of 87,847 units versus 71,329 units a year earlier, up 23.2 percent. Nissan Division sales rose 24.6 percent for the month at 80,003 units, driven by retail sales gains by top-selling models like Altima, Pathfinder, Sentra and Rogue. Sales of Infiniti vehicles were up 10 percent over the prior year, to 7,844 units. Nissan Division posted 80,003 sales, an increase of 24.6 percent over last April's 64,200 unit total. Sales of Nissan Altima rose 35.4 percent to 21,991, driven by a 42 percent increase in retail deliveries. Nissan Rogue crossover sales set a new April record at 11,904 units, an increase of 39 percent over the prior April. Nissan Pathfinder sales were up 214.7 percent to 6,473, setting a new April record and marking the sixth consecutive month it posted an increase in deliveries of at least 145 percent. Pathfinder sales are up 180.9 percent in 2013. Sales of the all-electric Nissan LEAF jumped 423.5 percent to 1,937, spurred by the move of vehicle assembly to Nissan's vehicle and battery assembly facilities in Smyrna, Tenn., as well as a substantial price repositioning to include a wider range of trim levels and added value. Year-to-date, LEAF sales are up more than 160 percent. The all-new Nissan Sentra posted a 44.9 percent sales increase, at 10,734 deliveries. "April was a very good sales month for the Nissan division, not only from an overall volume standpoint where we were up more than 24 percent, but also in retail where our sales rose more than 32 percent." "In the first quarter of 2013, we improved our retail sales by more than 4 percent while reducing deliveries to fleet customers by more than 17 percent. We continued this trend in April with retail up 29 percent and fleet mix down over four percentage points from one year ago, which proves that our new products such as Altima, Sentra and Pathfinder are taking strong hold in the marketplace." "Our strong performance in April was driven largely by double and even triple digit increases on some of our core products, such as Altima up more than 35 percent, Sentra up nearly 45 percent, Rogue up 39 percent and the all-new Pathfinder up over 214 percent." "We expect to have gained market share in April due to our strong retail performance, which we have full intention to continue through the summer months given the building momentum that we are seeing with Altima, Sentra and Pathfinder in particular." "With a strong April building on a record-breaking March, Nissan LEAF sales are now up over 160 percent year-to-date. The wider array of trim levels and lower price driven by the start of U.S. LEAF production at our Smyrna plant are bringing more new customers to our showrooms every day." Infiniti today reported sales of 7,844 units in April, an increase of 10 percent from 7,129 units during April 2012. Deliveries of Infiniti G Sedan totaled 2,696, an increase of 29 percent. Infiniti FX performance crossover was up 12.8 percent. Sales of the Infiniti JX 7-passenger luxury crossover increased 24.1 percent to 2,580 in April. NOTE: To ensure consistency in global sales reporting, Nissan North America calculates monthly variances on a straight-percentage basis, unadjusted for the number of selling days. April 2013 had 25 selling days, while April 2012 had 24 selling days. About Nissan North AmericaIn North America, Nissan's operations include automotive styling, engineering, consumer and corporate financing, sales and marketing, distribution and manufacturing. Nissan is dedicated to improving the environment under the Nissan Green Program and has been recognized as an ENERGY STAR® Partner of the Year in 2010, 2011, 2012 and 2013 by the U.S Environmental Protection Agency. More information on Nissan in North America and the complete line of Nissan and Infiniti vehicles can be found online at www.NissanUSA.com and www.InfinitiUSA.com, or visit the Americas media sites NissanNews.com and InfinitiNews.com.